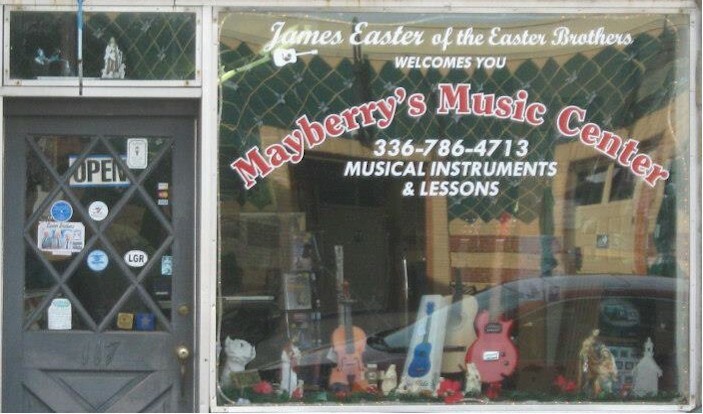 Mayberry’s Music Center is the down home music store operated by the legendary James Easter in America’s favorite small town. 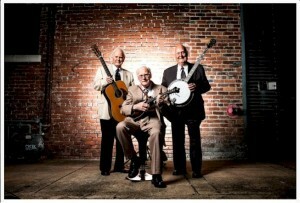 Meet the legendary Gospel and Bluegrass performer who has been with the band since they started out in 1951. Mayberry’s Music Center was opened in 2000. 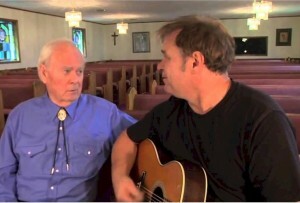 The haunting melody that tells story of the timeless relationships between fathers and sons, as performed by Jeff and James Easter, and written by Jeff’s wife, Sheri. Russell, James, and Ed Easter were born and raised in Mt. Airy, NC in the early 1930’s. Russell began playing the guitar and taught the others to play when they were young. 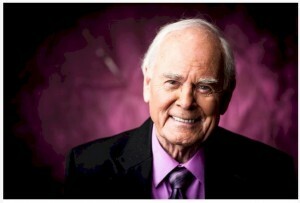 Learn How it all started, and why they are as vibrant as ever, even after more than 60 years on the Gospel Show circuit. at Mayberry's Music Center Signup Today! 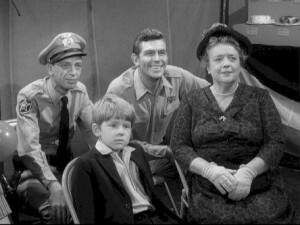 You may think that the And Griffith Show and it’s successor, Mayberry RFD were just TV shows that took place in a fictional Southern town somewhere back in the 1960’s… but you’d be wrong. 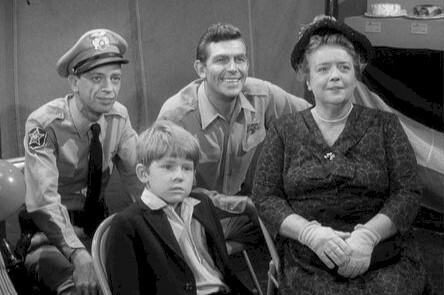 Actually, Andy Griffith grew up in Mount Airy, North Carolina, and it’s no coincidence that a stroll down Mount Airy’s Main Street reminds people of the town of Mayberry from the beloved TV shows. Donec vehicula justo et augue aliquam interdum. Suspendisse potenti. Phasellus fringilla pellentesque arcu, ac laoreet justo aliquet non. Fusce odio orci, mattis at pretium non, varius vitae augue. Duis luctus tellus vitae nunc aliquam ut tempor diam vehicula. Aliquam tincidunt, elit ut elementum sagittis, neque nulla hendrerit tortor, id rhoncus nisi velit sed ante nulla facilisi. You have Subscribed Successfully! Now please check your email and click the link to confirm your subscription. Be sure to check your spam folder if you don't see it right away.